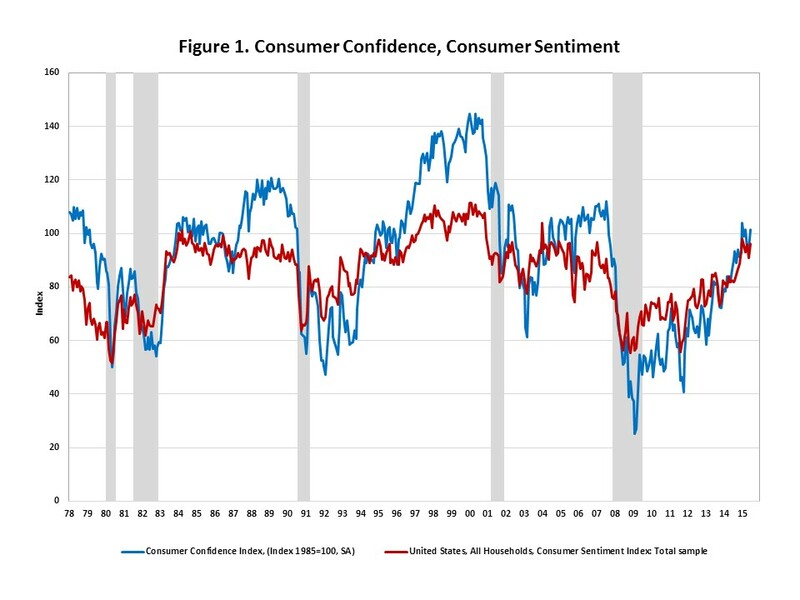 In June, both the University of Michigan Index of Consumer Sentiment and the Conference Board Consumer Confidence Index rose. These gains reflect continuing improvement in several sectors of the economy. Strong job gains and an unemployment rate well off its peak, accumulating momentum in recent housing starts and sales, as well as a rebound in retail sales after a slow first quarter combine to point to consumers gaining confidence in the economic recovery. 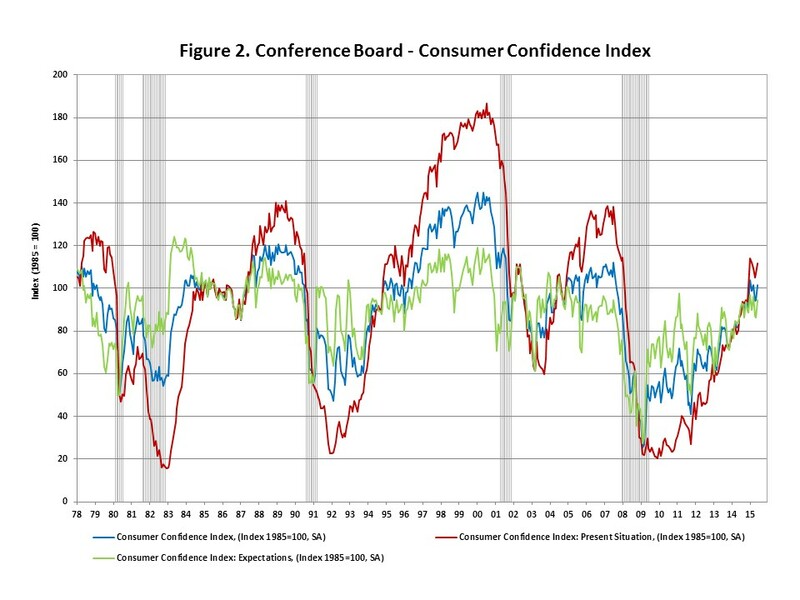 Figure 2 presents the Consumer Confidence Index from the Conference Board and its subcomponents, the Present Situation Index and the Expectations Index. The subcomponents show that consumers have stronger reactions to current conditions than to expectations about the future, as indicated by the higher volatility of the present situation index. This reflects an apparent bias toward the status quo in expectations about future business conditions and the availability of jobs. Consistently higher percentages of respondents report expectations about the future to be “the same” rather than better or worse, in comparison to the percentages characterizing current conditions as “normal” rather than good or bad. This higher tendency toward the middle in expectations dampens the volatility of the index relative to the present conditions index. 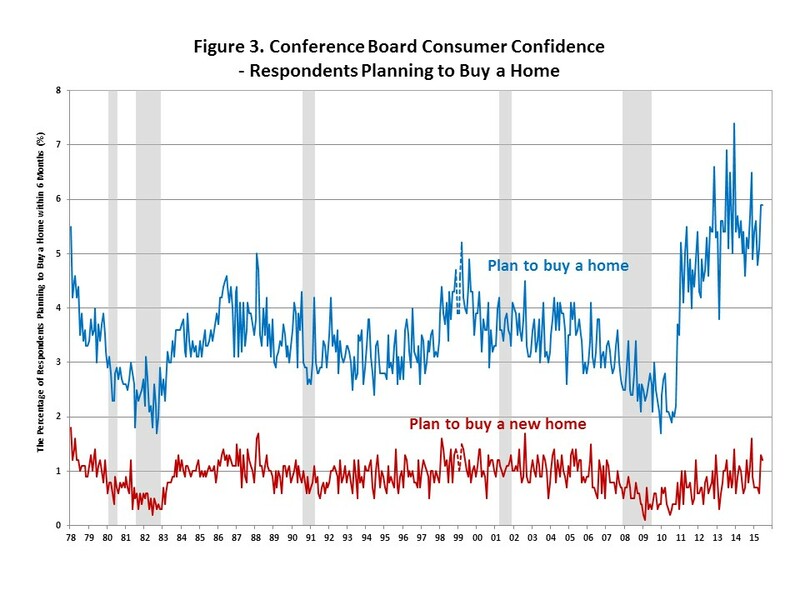 In contrast to the slow, steady recovery in consumer confidence, plans to buy a home snapped back sharply after declining during the recession. The percentage of respondents planning to buy a home within 6 months more than doubled in the second half of 2010 and remains at elevated levels four years later.